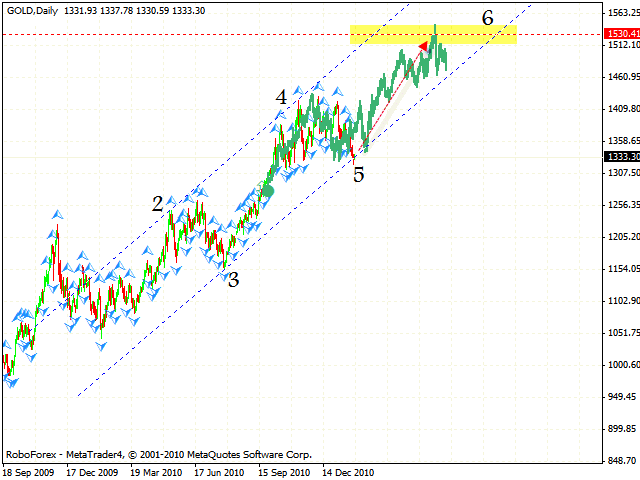 HomeFor ClientsAnalyticsForex Analysis & ForecastsForex Technical analysis and forecastsForex Technical Analysis 2011/01/27. EUR/USD,GBP/USD, USD/CHF, AUD/USD, USD/CAD, EUR/JPY, GOLD Forecast FX. Forex Technical Analysis 2011/01/27. EUR/USD,GBP/USD, USD/CHF, AUD/USD, USD/CAD, EUR/JPY, GOLD Forecast FX. 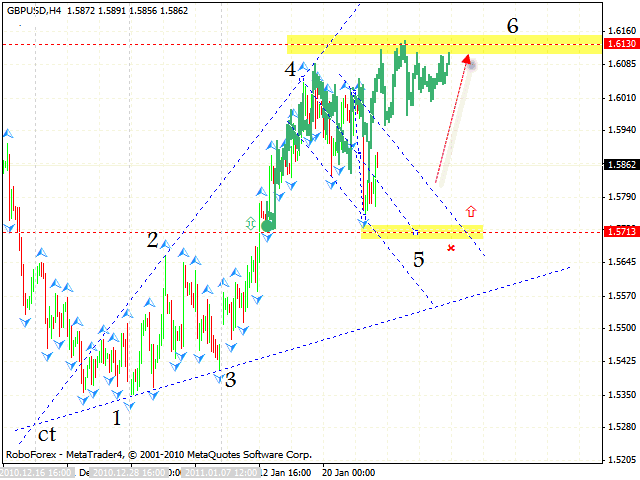 As it is seen from the eurusd forecast the EUR/USD currency pair is moving inside the rising pattern. The closest target of the growth is the area of 1.3875 where we should expect the correction to start to the level of 1.3745and the price to continue moving upwards with new targets. At the moment one can try to buy the pair with the tight stop. 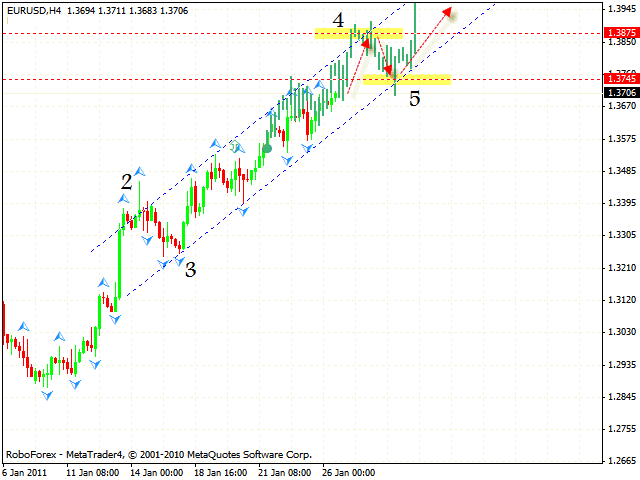 The GBP/USDcurrency pair hit the level where the 5th point of reference is formed and went up, but didn’t grow much. As it can be seen from the gbpusd forecast we have the rising expansion pattern forming with the target in the area of 1.6130. Also, there is a risk that the price may fall to the level of 1.5713, that’s why we recommend you to buy the pair only after the price leaves the descending channel. In case of Franc there is a potential for the formation of the descending symmetrical pattern. The target of the 4th point of reference is the area of 0.9300, where we should expect the price to grow to the level of 0.9450. This level is the area where the 5th point of reference is formed. Judging by the technical analysis usd chf you can try to sell the USD/CHF currency pair during a long term period with the target of 0.9230. 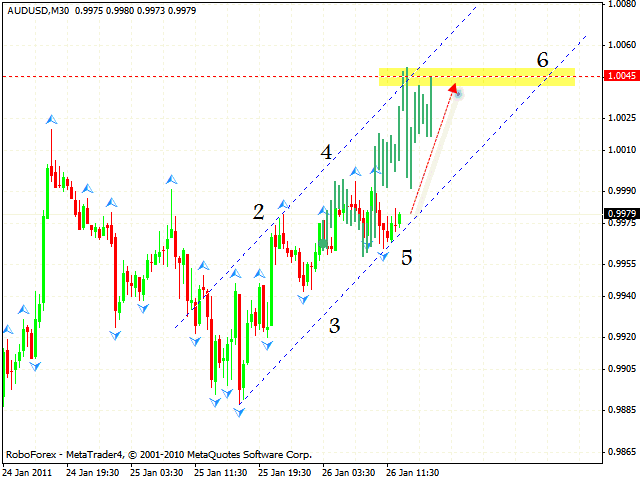 Australian Dollar is moving inside the rising channel. The target of the growth is the area of 1.0045. 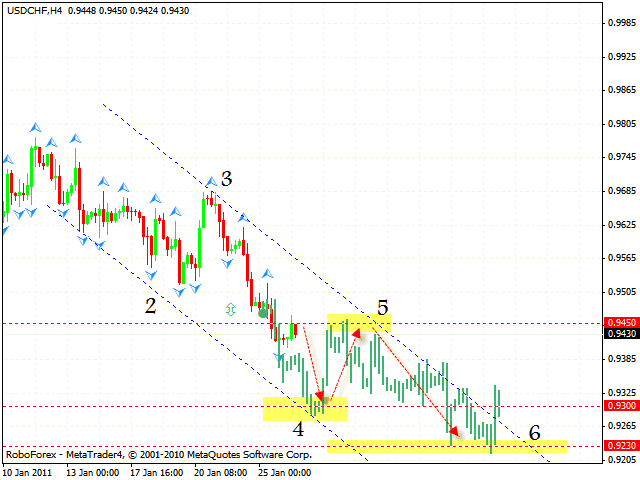 According to the aud usd analysis you can try to buy the pair with the tight stop. If the price breaks the channel’s lower border, we recommend you to close long positions. At the M15 online forex trading chart of the USD/CAD currency pair we can see the formation of the symmetrical structure with the target in the area of 0.9920. Judging by the usd cad analysis one should consider selling Canadian Dollar during a short term period near the channel’s upper border. The stop must be above 0.9980. The EUR/JPY currency pair keeps moving upwards, and at the moment the price is testing the channel’s lower border, where one can try to buy the pair with the stop below 112.00. 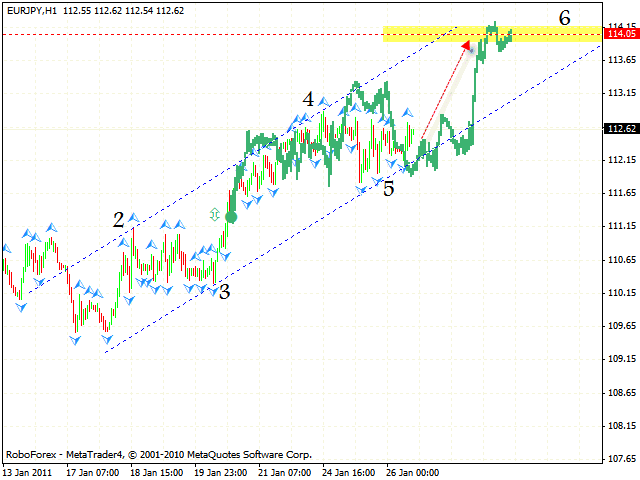 As it is seen from the eur jpy analysis the target of the growth is the area of 114.05. In case of GOLD there is a strong possibility that the price may move upwards. The target of the growth is the area of 1530. 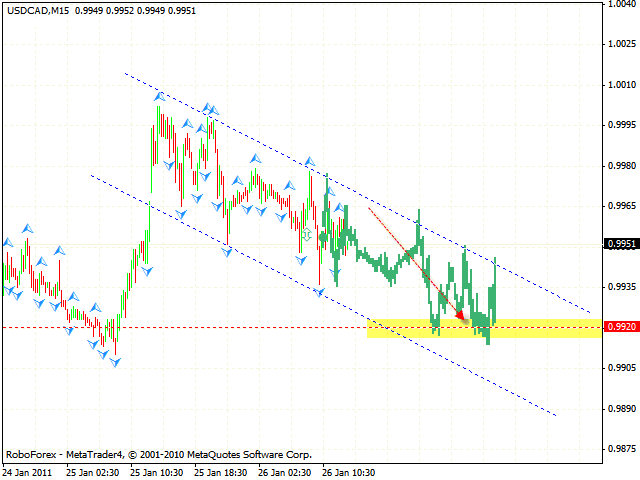 Now the price is near the channel’s lower border, thus giving us an opportunity to buy with the tight stop. If the price breaks the channel’s lower border and is fixed outside it, this case scenario will be cancelled.